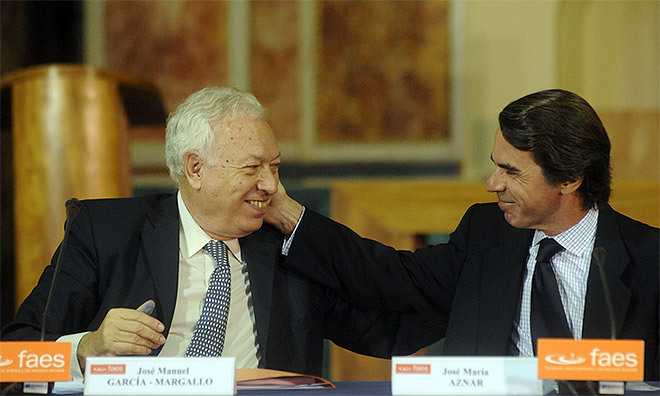 In a debate in the Spanish Parliament, the Cortes, in Madrid on Wednesday, Spanish foreign minister José Manuel García-Margallo made remarks about Scotland’s possible future within the EU. The foreign minister’s comments were immediately siezed on by anti-independence campaigners as “proof” that Scotland would have to reapply for EU membership. Replying to a question from PNV (Partido Nacional Vasco – Basque National Party) representative Iñaki Anasagasti on the opinion of the Spanish government on the agreement reached between Holyrood and Westminster on the independence referendum, Mr García-Margallo asserted that if the independence option triumphs in 2014, the “territory” would be “automatically be left outside the EU” and “would have to put itself at the end of the queue” if it wanted to rejoin the European club. Its future entry into the EU, in the opinion of the foreign minister, would be subject to approval by all member states in a unanimous vote, who would first vote to approve Scotland’s status as a candidate, then each act of adhesion would be negotiated, which would have to be ratifed later.